Where is My State Refund 2019? States that collect income taxes offer a way to check the status of your state tax refund. They also offer tax department or tax agency websites, which provide information on state taxes. Where is my state refund? 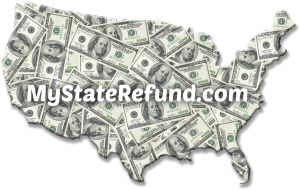 5 Comments to Where is my state refund? there is no info for state of Wisconsin? https://ww2.revenue.wi.gov/RefundInquiry/application It is linked there. Wisconsin just shows an error page! ANYONE have any info about wi state taxes?